How did you first get your start as a hairstylist? I started hairdressing in Australia. I was a part of a four-year apprenticeship where I had to work in a salon full time. I needed to work a minimum of 40 hours per week! What inspires the way you style other people’s hair? I grew up on the beach so I have always been partial to surf-style beauty. The beach culture definitely has an influence on the way I style people’s locks. I mix that with all the hairstyles from the fashion magazines of the 90s I grew up with for the perfect blend. How would you describe your hair design aesthetic? Effortless and achievable is the look I go for. It’s not always easy, but I want it to at least look that way to the viewer’s eye. I create the illusion of simplicity within my hairstyling, but there is quite a bit of technique that goes into each ‘do. How do you constantly come up with new and innovative ideas for hairstyles? Coming up with new ideas or trends is something that happens organically. Trying to force something never works. During my travels, sometimes I come across a culture that leaves me inspired. Whether that’s art, paintings, water...sometimes I just get a “feel” from something. I want people to feel the same thing I felt when they see my work. Who are some of your favorite celebrities you have worked with thus far? I get to work with some pretty awesome people, and I am blessed to have found the right fit with some amazing actors. From James Marsden, Felicity Huffman, Anna Paquin, and Linda Cardellini to Troian Bellisario, Lucy Hale, Melissa Benoist, and Camila Mendes, I have truly enjoyed working with such a wide variety of people. 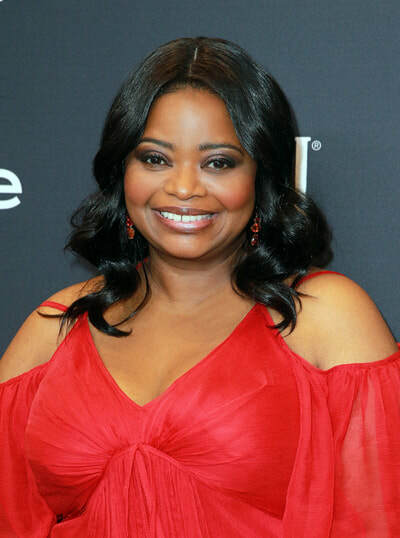 I also love working with Octavia Spencer, Elisabeth Shue, and Jacki Weaver. It’s not necessarily the celebrity that excites me, though. I love talent and people that love their craft. When I get to see my clients shine in their gift, I feel privileged to be apart of there lives. Do you prefer doing hair for celebs’ editorial shoots or red carpet events? Editorial and red carpet are very different beasts. At the moment, I like them both the same. What is it like styling the girls of Riverdale for their events? I love working with the girls from Riverdale. I have worked with Camila [Mendes] for a while now and recently have worked with Lili [Reinhart]. I always start by asking them what they’re wearing to their event and then we go from there. It’s a collaborative process--I want them to feel like themselves and they have to love how they look. That way, I know they feel confident and that we achieved something great together. Is there a repeating celebrity client of yours whose kindness and grace never ceases to amaze you? Talk a bit about your relationship with that person. It’s hard to choose just one! I have been fortunate enough to have clients that I have worked with for nine years that are like family now. I have cut celebs’ kids’ hair, attended their dance recitals, and traveled the world with them. We have laughed, danced, and cried together. I am so blessed to have been given the opportunity of a lifetime.